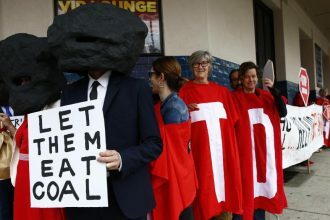 Adani CEO coming to Sydney Lucas Dow will be giving a talk at the Sydney Mining Club, 320 George St, this Thursday 7 February at 12pm about the virtues of the Adani mine. 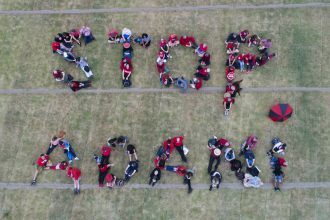 Wear your StopAdani t-shirt and bring something to make a noise. Organised by StopAdani group. 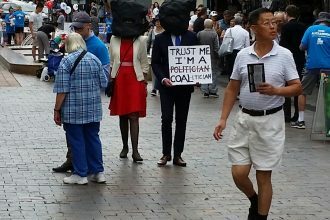 Rally at Parliament House, Canberra On February 12, the first day of parliament sitting for 2019, from 9-10.30am at Parliament House lawns, there will be a protest calling for action on climate change. Fix NSW protest There will be a rally on Sunday 3 March 1-3pm at Hyde Park North with many community groups calling for changes to fix NSW and with the election on 23 March it will be an important one. Groups including Lock the Gate (to stop CSG mining) will be there. Student rally Support school children who are going on strike on Friday 15 March to protest about lack of government action on climate change. Keep the date free and we’ll let you know details closer to the time. We have been trying to get a meeting with John Alexander for a couple of months and as yet have not been able to secure one. We have also been trying to get a meeting with Victor Dominello. We’ve had lots of excuses why we can’t meet him. Backyard pools and native animals If you have a backyard pool, WIRES suggests you can help native animals that are in the water by draping something over the edge of the pool so they can grab hold and climb out. Alternatively you could have a length of heavy duty rope or even a bodyboard, secured at one end to something heavy outside the pool to provide a platform for an exhaused animal to rest on. Otherwise you could place bricks or large stones either side of each step into the pool to make it easier for an animal to gain a foothold and climb out.